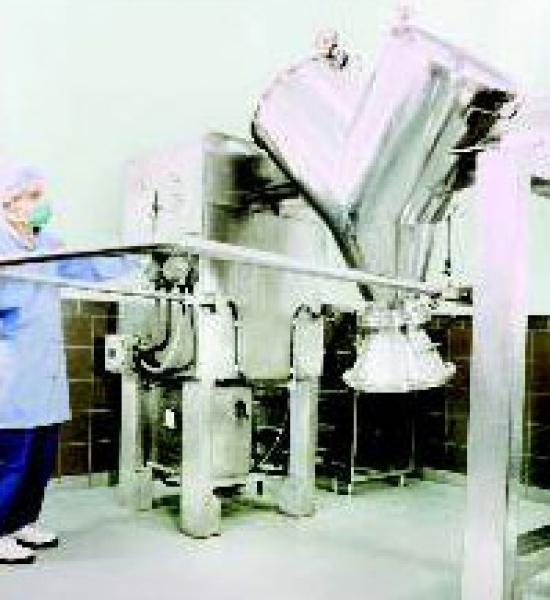 ‘V’ Blender, the rotating shell V-Type Blender is used only as dry mixers and have no packing glands (seals) around shafts entering the chamber to eliminating problems of cross contamination. 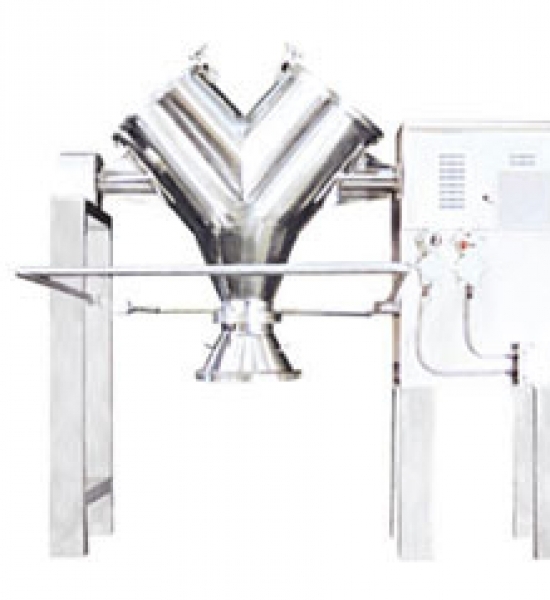 Advantages of Blending operation in this Blender is minimal attrition when blending fragile granules, large capacity, and easy loading and unloading. 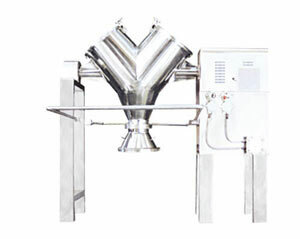 Modification such as the addition of baffles to increase mixing shear have been made to these types of blenders. Material of construction is SS 316. 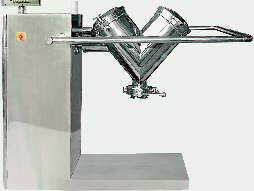 Integrated Vacuum loading option available. Intensifier bar can be provided for special applications. 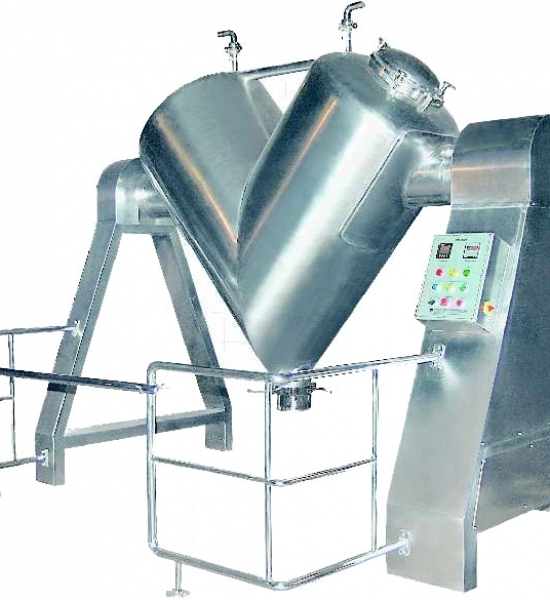 Particle size reduction and attrition are minimized due to the absence of any moving blades. Hence it can be used for fragile materials. The Bin charging system can also be incorporated in it which provides complete dust free closed environment for charging and discharging. The shape of blender body results in a near complete discharge of product material, clearly an added advantage over horizontal blenders. 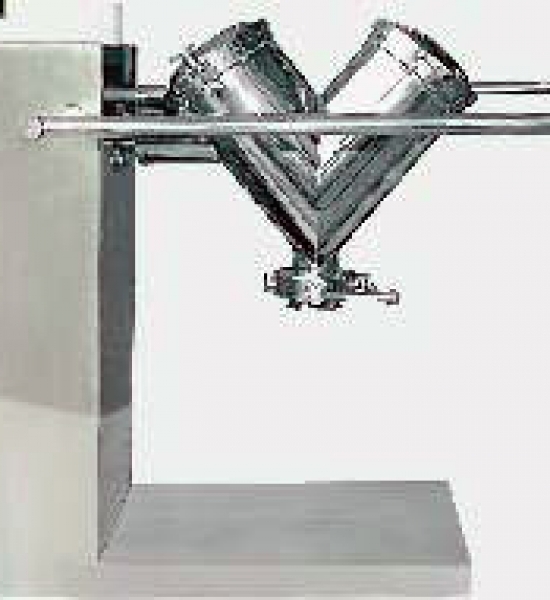 The absence of shaft projection eliminates product contamination. V-blenders are easy to clean. 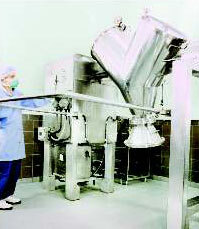 Internal attachments like lump breakers and liquid dispensers widen the applications of this blender. 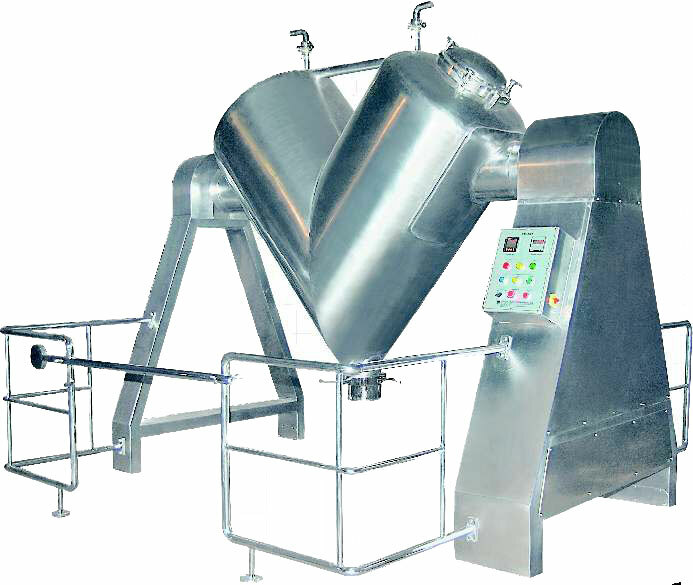 Capacity available from 5 -1200 L (Higher capacities upto 16000L also provided on demand).